These 15 apps for Android, iOS, and Windows Phone 7 can help you save money and time on your post-Thanksgiving shopping frenzy. It seems like every year Black Friday gets a little crazier. The crowds are bigger crowds, stores open earlier, and the perfect deal--not to mention your car in the mall parking lot--gets harder to find. 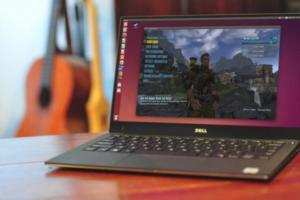 The apps in this slideshow can help make the experience far more enjoyable. This year, turn to your smartphone to help you find Black Friday promotions, cope with parking madness, get the best deals, and stay entertained while you wait in ridiculously long lines. 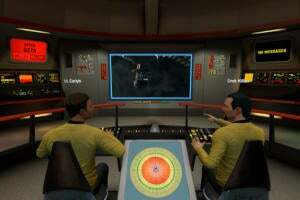 Let's start with some deal-finder apps. 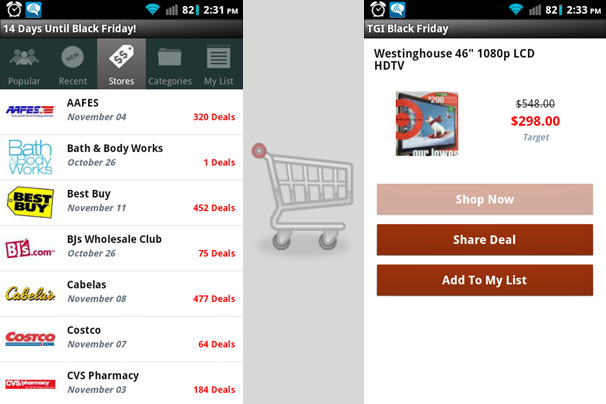 What it does: TGI Black Friday gathers Black Friday deals from popular stores like Best Buy, Target, and Walmart. 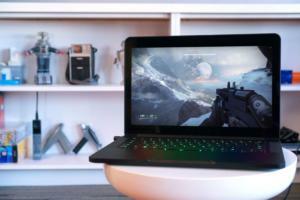 You can browse by items, categories, and sales from each store. You can also download PDF scans of available Black Friday ads. Who it's for: Black Friday shoppers who want to find the best deals or are looking for a particular store’s ad. What it does: This app hunts down sales, discounts, and coupons from online and brick-and-mortar stores. The goodies it uncovers range from free shipping and storewide sales to coupons for free food and store giveaways. You can search by category or brand, and all of the coupons are timely and accurate. The app asks you for your name, email address, and zip code, but the app works whether you enter them or not. Who it's for: Anyone who doesn't want to search endlessly for store coupons and sales. 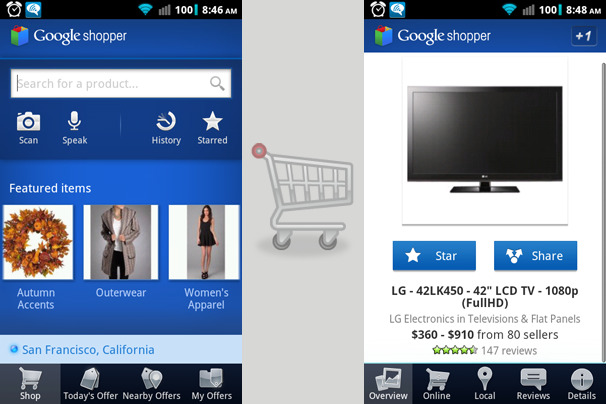 What it does: Google Shopper is a great app for finding products and for comparison shopping. 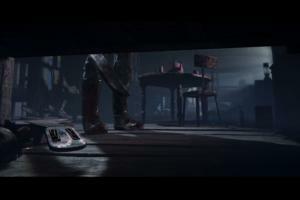 The app will tell you prices, location, and inventory levels of items--both online and in stores. Who it's for: Comparison shoppers who want to make sure that a store they're considering visiting isn't out of stock of the item they want to buy. What it does: The Amazon Mobile app lets you search the monster online retailer for products, either by scanning a barcode or by manually entering the item that you're looking for. You can even skip the crowds and buy the item directly from the app--and have it delivered to your home. Who it's for: People who prefer shopping from the comfort of their home and hate waiting in line for hours. 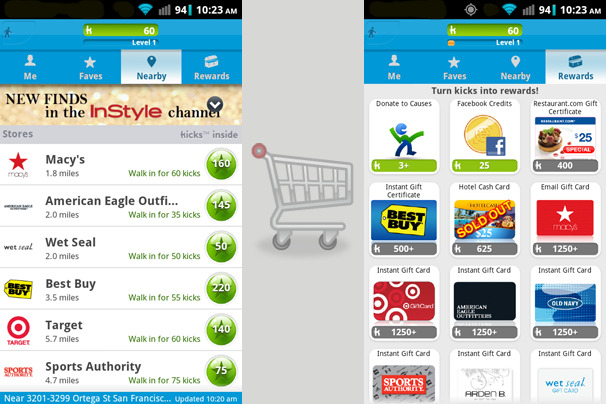 What it does: Shopkick has a unique system that lets you earn points as you shop. Walk into a store or scan a display, and you receive points that you can eventually redeem for gift cards and other swag. Who it's for: Shoppers who cover a lot of ground and want to be rewarded for their dedication. What's better than free stuff in return for shopping? 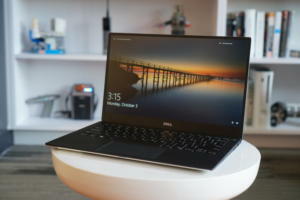 What it does: This intuitive, well-designed app keeps track of all of your expenses for the day, week, month, or year. 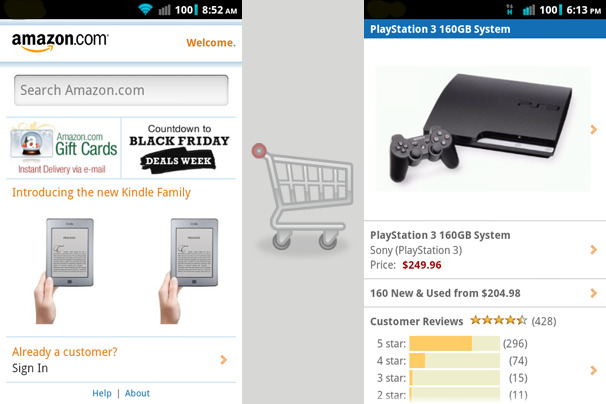 You manually enter each purchase to keep track of your spending for Black Friday and beyond. It's fully customizable, so you can set up different payment types, expense categories, and names of stores/vendors. 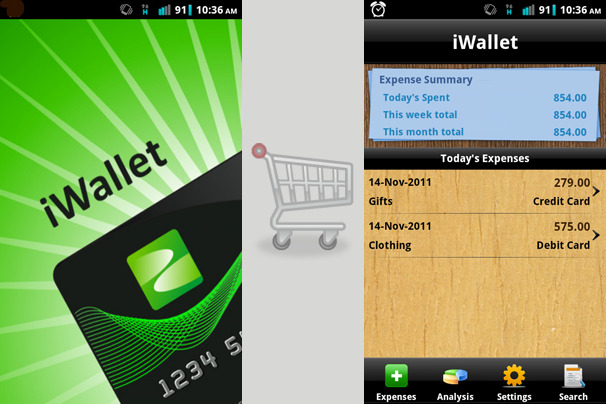 Who it's for: Active shoppers who need to keep to a budget; iWallet lets you set a specific budget for each day. 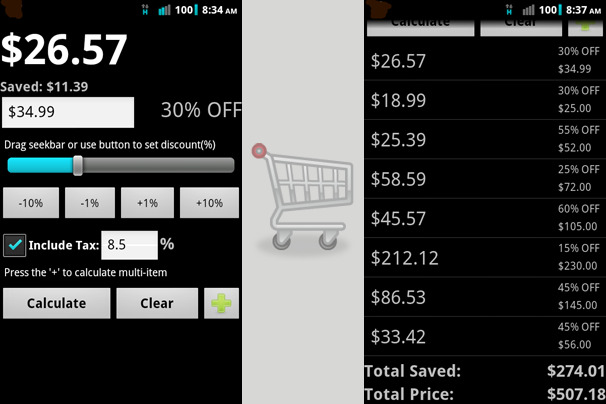 What it does: Discount Calculator helps you calculate price reductions and the final prices you'll pay for items. 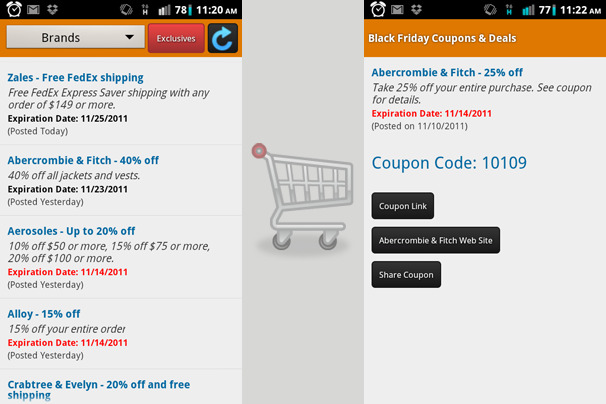 Enter a price, a discount amount, and the applicable sales tax into the app. It will specify exactly how much you'll pay at the register. You can keep a running tally of all the prices you've entered so that you can track how much you've spent and and how much you've saved throughout your shopping trip. Who it's for: Shoppers who aren't great with math and can't calculate 30% off $59.99 in their heads. What it does: Trying to shop for someone who is picky or already seems to have everything? 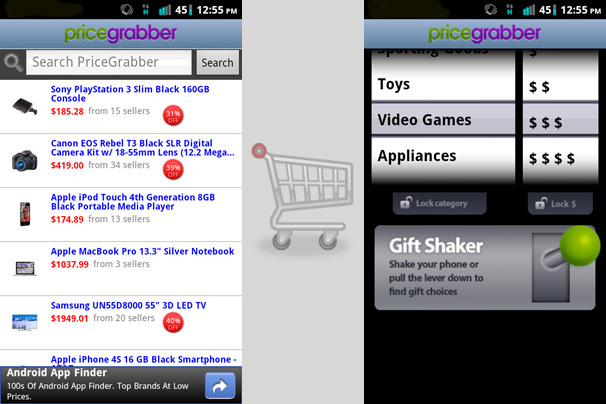 PriceGrabber has a nifty Gift Shaker that helps you find a gift based on category and price range. PriceGrabber also lists the best prices for an assortment of items from all over the Web. Who it's for: People searching for a suitable gift for someone who is hard to shop for. What it does: Not every store that has a Black Friday sale puts out an ad for it. 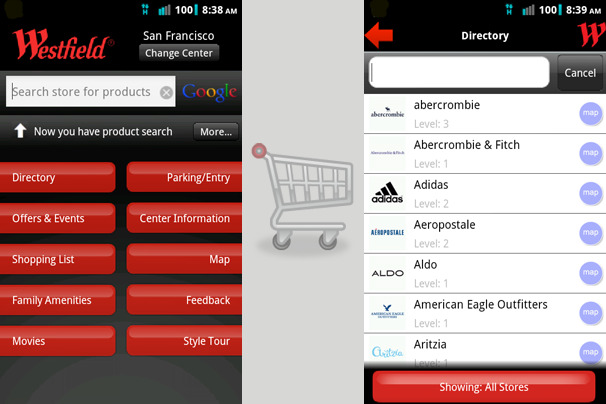 Smart Aisles helps you find what's on sale at a multitude of retailers, at the locations closest to you. 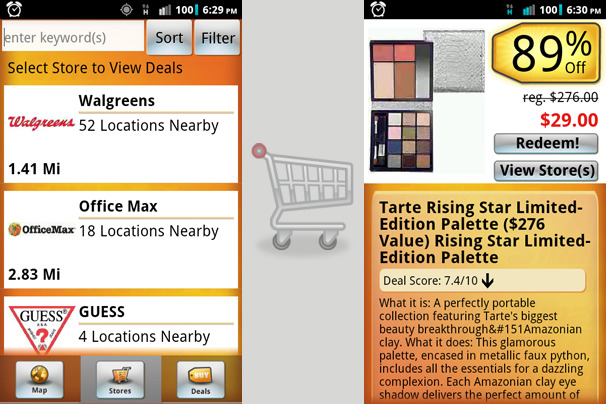 The app covers stores that many apps miss, such as Nordstrom, Sephora, and Walgreens. Who it's for: Shoppers who want to know the bargains at stores other than Best Buy, Target, and Walmart. 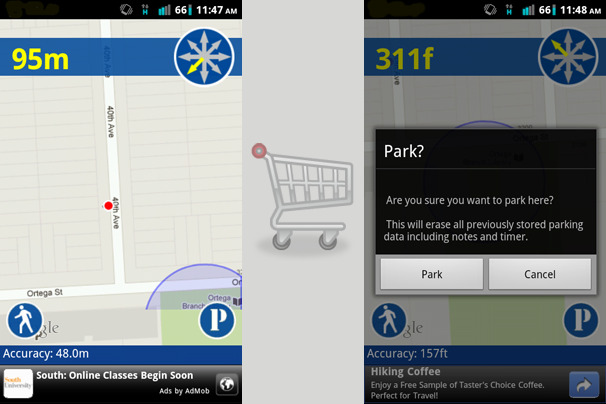 What it does: BestParking helps you find parking lots, garages, and street parking. You can search by GPS location, nearby attraction, address, or neighborhood in all major U.S. cities. The app also identifies parking rates based on the dates and times you select. Who it's for: Anyone traveling on Black Friday (or at any other busy time) by private vehicle to a shopping center or shopping area in a major city. What it does: After a long day of shopping in a megamall or urban area, remembering where you parked can be difficult. And getting ticketed for parking too long in a metered space can ruin your entire shopping experience. 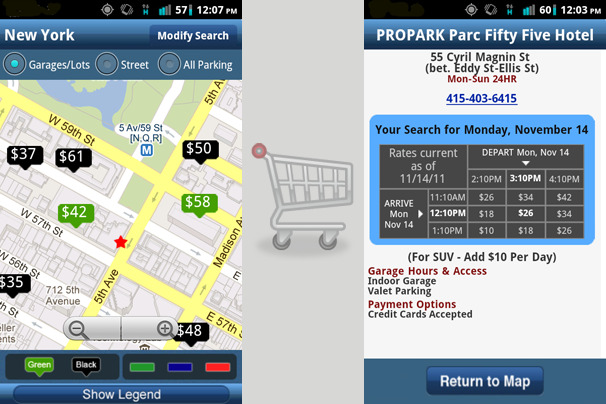 MyCar Locator Free uses GPS to mark where you parked, and it keeps track of exactly how long you've been parked there. When it's time for you to return to your car, it provides walking directions. Who it's for: Preoccupied shoppers who drive to shopping centers and malls and must deal with strict parking regulations. What it does: Westfield provides essential information on all of the 55 Westfield Shopping Centers in the United States. You can find parking information, hours, locations, and directories for each shopping center so you can fine-tune your shopping trip strategy. Who it's for: Anyone who'll be spending Black Friday at a Westfield mall or shopping center and who wants to make the mall experience a little more bearable. What it does: Springpad can help you keep track of information such as recipes, notes, and products--but one of its best uses is for creating shopping lists. You simply enter the items you need, and then check them off as you buy them. 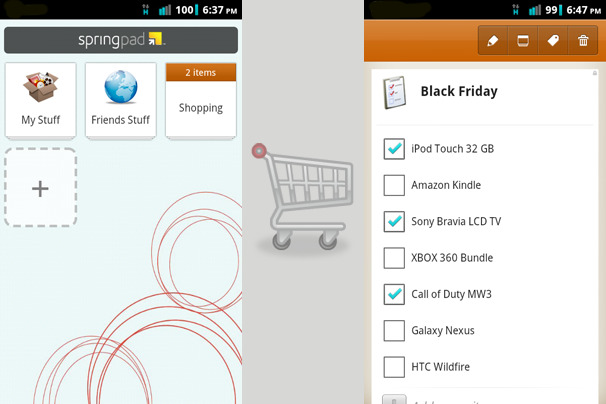 The best part is that you can make lists on the Springpad website and access them later with the app. Who it's for: Chronic list makers who don't want to worry about losing a piece of paper. What it does: If the holiday music that stores play starts to drive you crazy after about the 25th "pa-rum-pum-pum-pum," pop in your earbuds and open Pandora. This Internet radio service is one of the most popular ways to listen to music, and it can help you stay focused while shopping. You can create customized stations around your favorite artist or song. Who it's for: Anyone who wants to escape holiday music being blasted through speakers or who wants to drown out the noise of restive crowds. What it does: Standing in long lines can be boring and frustrating. 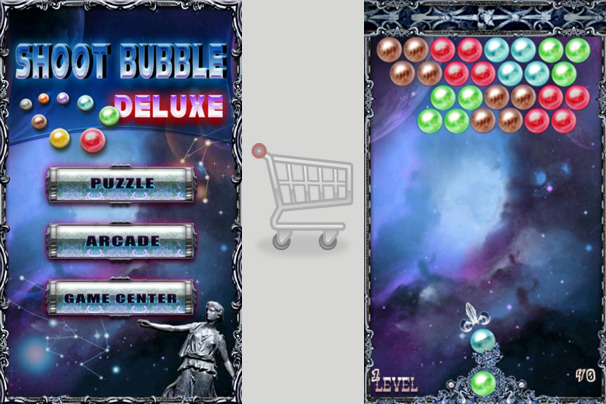 Instead of counting the seconds between each 18-inch advance toward the cashier, distract yourself by playing Shoot Bubble Deluxe. This game is easy and slightly addictive; you shoot bubbles of the same color together to clear each level. Who it's for: Anyone who got dragged to the mall to go shopping when all they wanted to do was to stay at home and play video games. Also, for people who get bored easily while waiting in line.